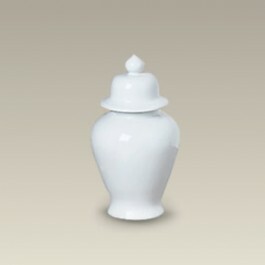 Decorate a table or shelf with this 8" tall porcelain Ming temple jar, or use it as a commemorative urn. The urn has a lid and holds 27 oz. Made in China.